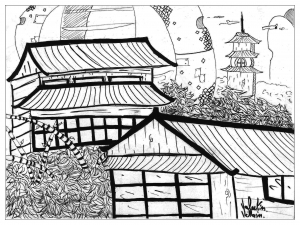 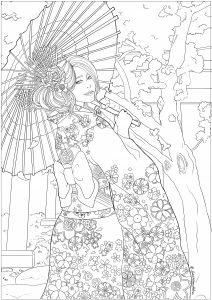 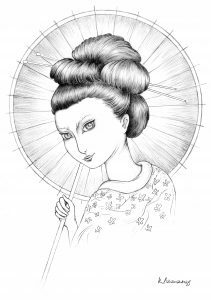 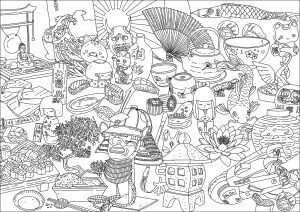 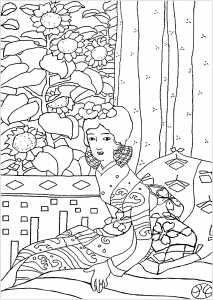 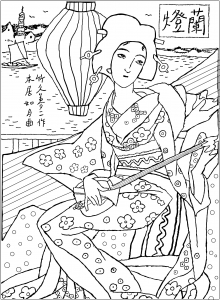 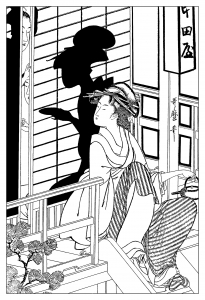 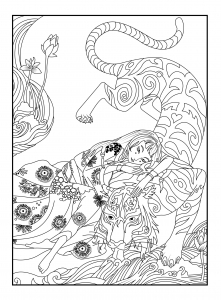 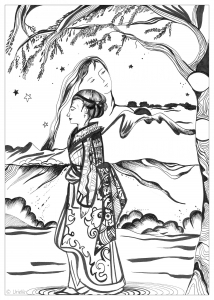 Here are some Adult coloring pages related to Japan : a country also called the Land of the Rising Sun. 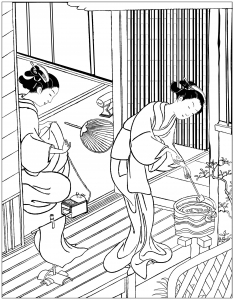 In Japan, the highest technologies cohabit with the brightest culture and rituals. 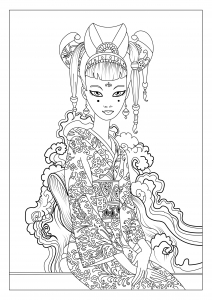 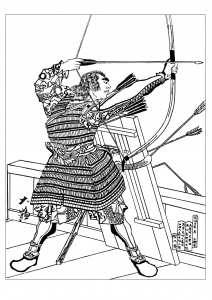 You will find in this page images to print and color of Samurai, Sumos, Geishas ... 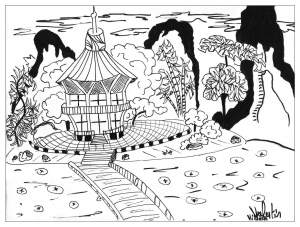 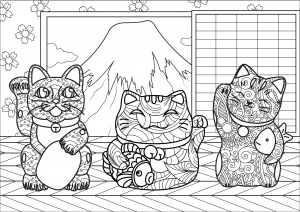 But also coloring pages created from photographs of Tokyo or representing beautiful temples. 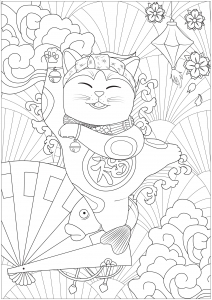 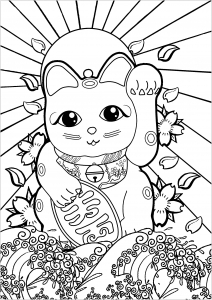 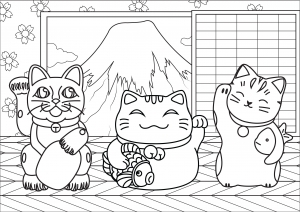 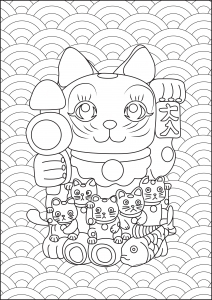 These little Maneki Neko kneeling on a bigger one are too cute ... Add them some colors ! 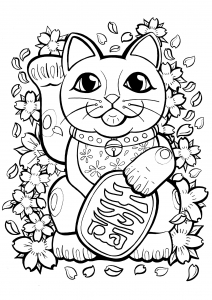 Cute Maneki Neko with other symbols of Japon : Rising Sun Flag, Cherry blossom flowers and The Great Wave off Kanagawa ! 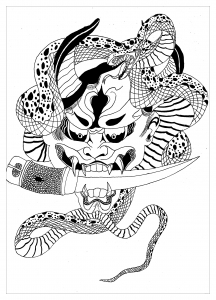 Coloring page of a Japanese Hannya mask.